Jessica Jones is one of Marvel’s most remarkable character progressions, with a shorter time from comic book creation (2001) to on screen MCU introduction (2015) than anyone else. She’s the star of one of Marvel’s best MAX books (Alias from 2001 to 2004), a role player in Marvel U linchpin New Avengers (2004 to 2013), and now the first female character to drive a Marvel TV / Movie property. I’m a big fan of the Brian Michael Bendis and Michael Gaydos created character, and if you’ve been enjoying her story on Netflix, I now present to you the Jessica Jones reading order. The issue by issue guide below should give you the ideal approach for Marvel Unlimited reading, with caveats as applicable. Enjoy! It’s worth noting here that Alias is not available on Marvel Unlimited, to the chagrin of just about everyone who’s used the service. The word on the street is that Marvel MAX titles (Marvel’s 18+ content) are not allowed in Marvel Unlimited because it would restrict the app’s all ages availability. Long story short, if you want to read the most essential (and best) Jessica Jones comic, you have to buy it. Marvel recently republished all 28 issues (and the below What If…) in 4 trade collections. You can find the first Alias trade here. There’s some slight creative overlap between Brian Michael Bendis and Alex Maleev’s run on Daredevil and Alias. If you want the full explanation for Murdock and Nelson’s appearances in Alias, this is the run you’ll want to check out. You can get a full Daredevil reading order here – hardly required for Jessica Jones, but a recommended read for the Marvel Netflix fan! For the record, this issue is available in Marvel Unlimited. More tangential Jessica Jones, but she is reporting on the new team. Provides the background for the next story arc in The Pulse. In the grand scheme of Marvel continuity, Secret War should be read between Avengers Disassembled and House of M.
First two volumes of New Avengers, you get Luke Cage reacting to some of the developments in Alias. Not much (if any) Jessica Jones action here, but this will essentially become her primary series for most of the 2000’s. You can read all of New Avengers, and from the perspective of enjoying and following the Marvel Universe in the 2000s, I recommend that you do. That said, issue #22 is a Jessica Jones and Luke Cage Civil War Tie-In. Jessica Jones and Luke Cage deal with Secret Invasion. There are some definite ramifications for the duo during this event, so if you’re all in on Marvel backstory, you can find the Secret Invasion guide here. Takes you through Dark Reign and Siege. Various Jessica Jones throughout. There’s a brief back-up story in this issue about a conversation between Spider-Man and Jessica Jones. It can be read midway through the above New Avengers run, but mostly should be read before New Avengers Annual #3. From the solicit: A startling new chapter in the life of Jessica Jones. The New Avengers annuals continue to offer the most direct Jessica Jones stories. Siege tie-ins. I mean you made it this far. Pay particular attention to issue #8, which is a Luke Cage and Jessica Jones date issue that also involves Doctor Doom (literally the best kind of date). Jess and the New Avengers help Spidey deal with the return of the Spider Slayer. Part of the larger Spider-Island event, but this is the most direct Jessica Jones involvement. Leads right up into the Avengers vs. X-Men tie ins, and largely marks the the conclusion of Jessica Jones’ involvement with this Avengers squad. You can keep on reading through the Avengers vs. X-Men reading order if you’re so inclined. 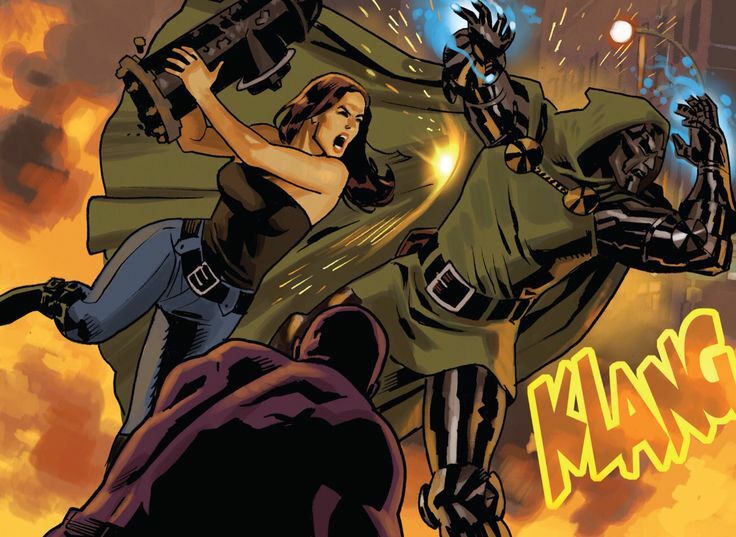 Jessica appears occasionally throughout Mighty Avengers, as Luke Cage starts another Avengers roster. Let me emphasize “occasionally.” Might Avengers begins as an Infinity tie-in, which requires quite a bit of Jonathan Hickman Avengers and New Avengers. The notorious BMB left Marvel in style with this excellent conclusion to the relaunched Jessica Jones. She also makes appearances in the Avengers : children’s crusade series. You will notice she’s even on the cover to #6. The Young Avengers Special happens after Young Avengers #8, not #6 (the events from issues #7 and #8 are discussed). 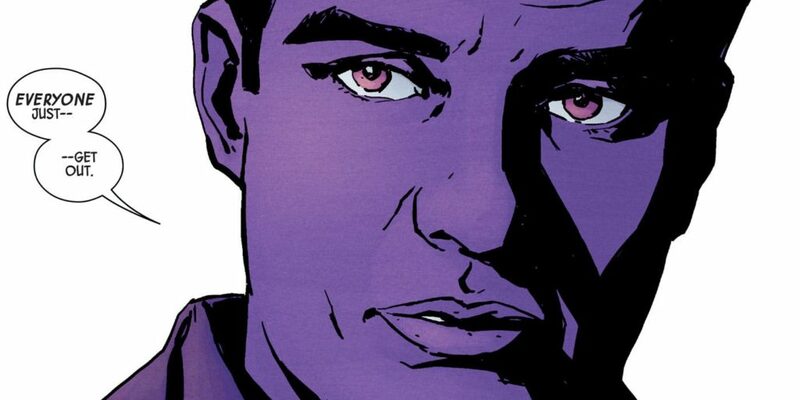 Moreover, Jessica Jones appears in both issues #7 and #8, so you should include them in the order before the Special. Jessica also appears quite a bit in Young Avengers #12, so maybe you should include at least a reference to the #9-#12 arc (this way, readers will have a more complete Jessica Jones order AND will read the full Young Avengers series, which is one of your recommended series).